Before the cab-forward revolution led by the 700 Series American-LaFrance, there was the buckboard style of fire apparatus. With the driver ahead or aside of the engine, the buckboard style was the original cab-forward. The buckboard style was one of the more common incarnations of early motor fire apparatus design. Today it often is overlooked despite its historical significance. 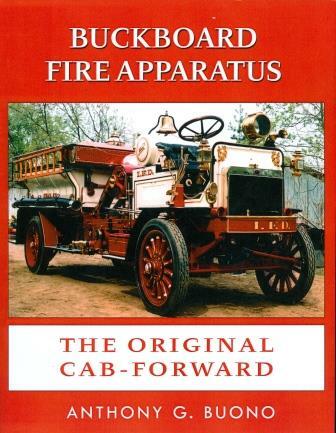 This well-researched text explores the development of motor fire apparatus of the buckboard style during the brief period from 1905 through around 1920 when the buckboard style was common and produced in significant numbers by a variety of manufacturers.